This variety of Wyandotte is relatively new and came to the United States from England a short time ago. We were able to get our stock from an outstanding breeder here in the states prior to his "closing the door" on this variety and feel fortunate to perpetuate the Blue Laced Red Wyandotte gene pool. The original development of these came from crossing Silver Laced and Golden Laced varietys of Wyandotte's. After much work the Blue Laced Red was developed from this cross. The blue gene will color the chicks either light blue or dark blue in the lacing (the area around the reddish colored feathers) in both the baby chicks and the mature birds. Therefore you may have birds that vary somewhat in appearance but still display the beautiful colors of this very rare and unusual chick. 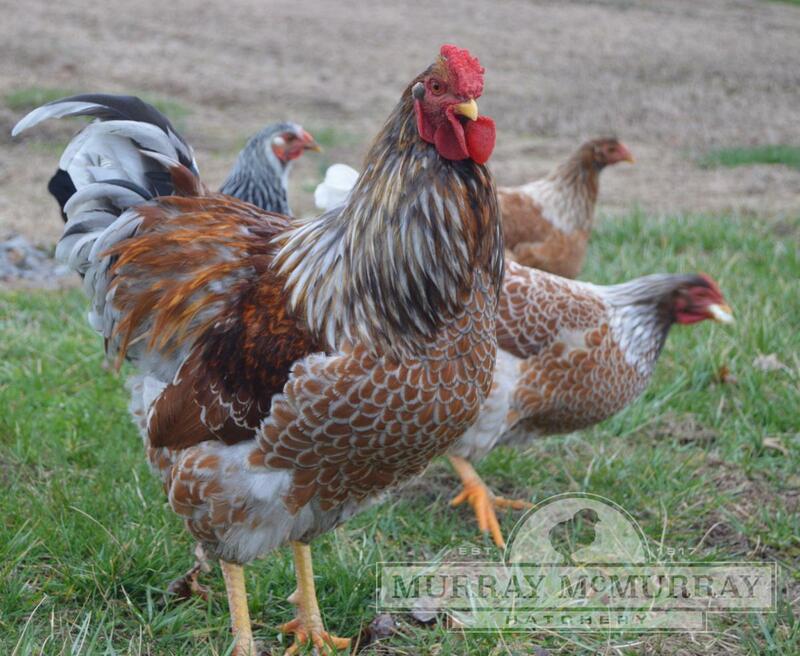 Mature Blue Laced Red Wyandotte's lay brown eggs and are medium in size with the deep - round -Wyandotte appearance. Is the blue-laced red wyandotte an official breed to show in 4-H? 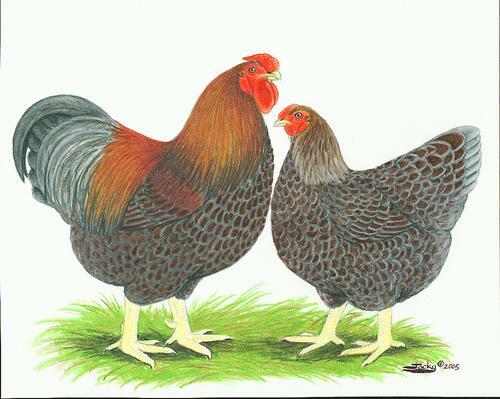 The Blue Laced Red Wyandotte should be entered as poultry class: American. Do you sell them as young hens and not chicks? No, they are sold as baby chicks only. what exactly does straight run mean? Straight run means "as hatched" or unsexed. Love theseWe received this BLRW as our free exotic chick back a couple months ago. Looks like we are going to have a Roo named Blue. He is absolutely stunning and I couldn't be happier. I will definitely be placing an order for some hens to keep his own little flock. He is a little "nervy" as i feel most Roos should be.. my other girls from McMurray are fantastic. I have another order coming and will be placing two more orders this year. not happyWell I would have to say I'm not happy at all with the birds we got…I ordered 15 birds and got only 2 hens! I will not be ordering from this company again….